Make sure you write down October 2nd 2018 in your agenda! 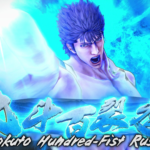 SEGA of America will bring the action-adventure RPG, Fist of the North Star: Lost Paradise to North America and Europe that day, meaning a complete English voice-over! 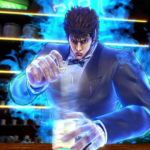 The game was developed by Ryu Ga Gotoku Studio and will be available exclusively on PlayStation 4. 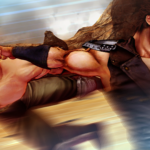 Players take on the role of Kenshiro and have to find a way through an alternative version of the original story. 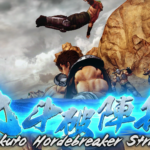 You have to explore what is left of a post-apocalyptic world and fight enemy gangs with your Hokuto Shinken techniques. 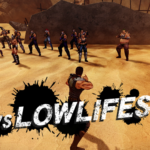 Next to this the game is characterized by a whole lot of minigames, ranging from buggy races to owning a nightclub. 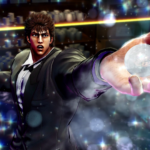 Become the Fist of The North Star: Explore an alternative version of the story and help Kenshiro find his lost love Yuria. Not familiar with the original story? No problem, you can play this game as a whole new experience! 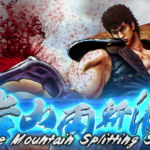 “You’re already dead” or “Omae wa Mou Shindeiru?”: The game offers both English and Japanese voices, leaving the choice up to you! 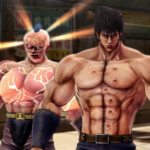 Learn the Hokuto Shinken-style: These are the ultimate murder techniques used by Kenshiro and were copied from the manga series. When your Seven Meter is filled up, you’ll be able to destroy enemies from inside out. 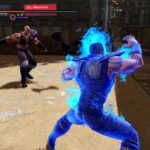 Along the way, more techniques will be made available to your character! Explore a forgotten paradise and its surrounding wasteland: You won’t get bored, that’s for sure. 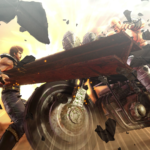 The game includes a lot of side missions and minigames. Mix it up and pour drinks in your own nightclub or take part in a buggy race through the desert. Still doesn’t sound like fun? Try playing some retro games in the arcade or even in your own home! 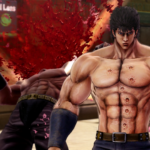 Extra bloody violence: All elements from the Japanese game will be copied in this localized version, plus some extra bloody violence!